A number of high-profile security breaches over the last two years have highlighted the damage that a rogue systems administrator or stolen privileged credentials can cause. Today, fewer than half of all business organizations have deployed the type of privileged identity management (PIM) solution that could help improve the situation. 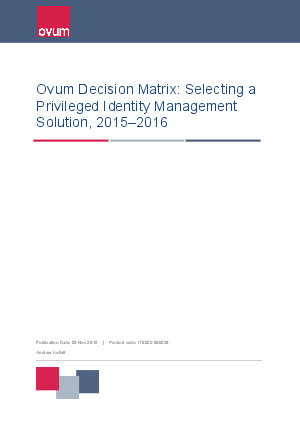 This Ovum Decision Matrix (ODM) provides an in-depth view of the leading PIM solutions that are available to deal with these issues. It compares their technology, the market position each vendor has achieved, their ability to execute, and the overall maturity of each offering.